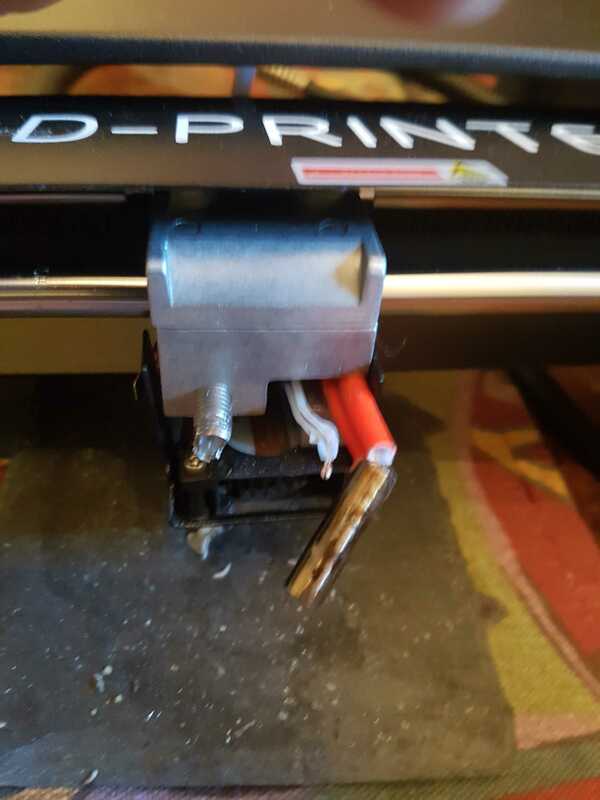 How do I replace the threaded filament tube that holds the print head? My print head got ruined by a leak, so I ordered a replacement which finally arrived, and I managed to get the old head off without damaging the thermal elements, but the threaded tube is damaged. The replacement came with a new tube, but I can't get the old one out to replace it, am I missing something? I can't see anything else holding the tube in place, but it won't unscrew at all. Heat it up to the point where the filament softens. Unscrew the screws of the tube, situated on the second photo left up the tube on the side, next to the bearing. You can see the holes in your photo. There are no screws in those holes, and I can't heat it up because the heating element is waving around in thin air. Normaly there should be min. 1 M3 setscrew in there there are 2 or 3 holes. Remove the metal cover to check it. Use a hot air gun to heat it up. But first you have to dismantle the whole cold end otherwise you melt or destroy something. You can use 2 M6 nuts counter screwed to get the throat out without destroing the thread. On minute 1,04 you see the screw I ment, you said it wasnt there, did you find it? Thought there where 2 of them. Sorry for the long delay, I've been trying to follow this video, but this head is different from mine, rather than 2 holes of the same size, mine has 3 holes of different sizes. I extracted the screw from the middle hole, and the larger and smaller holes don't seem to have screws in, though the smaller one is threaded as if it should have, but the tube still won't come out. isnt that third one to mount the fan cover? are there any screw holes on the other side? I suppose it could be, but there was no screw holding the fan cover to it. The only holes on the other side were the ones holding the fan cover on there, which I've undone. You mean the other side, here is only one screw yes thats right the one in the middle. Hope you try to unscrew it while it is about 250°C hot, otherwise nothing will get ever lose there. I'm not sure what you mean, this video clearly shows it being unscrewed with bare fingers, and with the element removed, definitely not while hot, and the 2 screws they remove in it are on the side where mine has the 3 different holes. 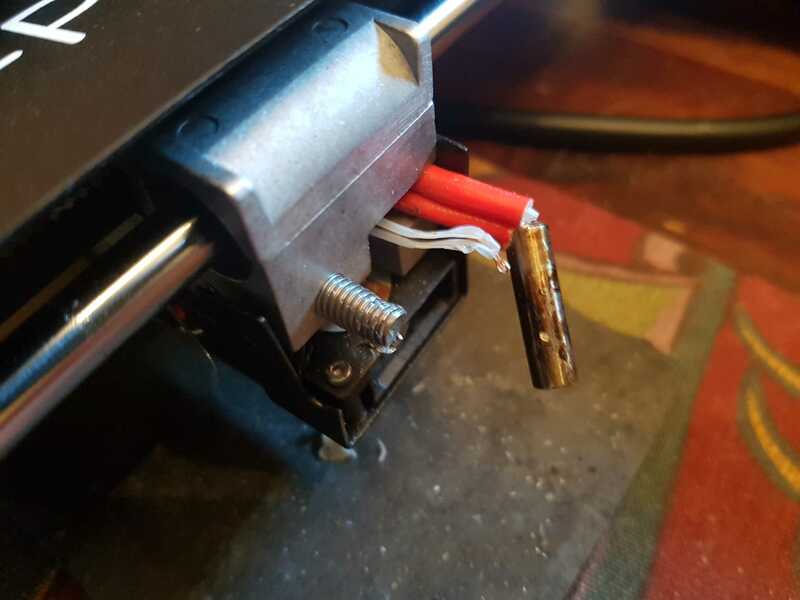 There were 2 set screws on my printer. The whole tube is 26mm long if that helps. There were 2 set screws on mine. I would think all are the same in this case. Mine had two set screws too... maybe look down with a torch into those holes... maybe one has stripped? 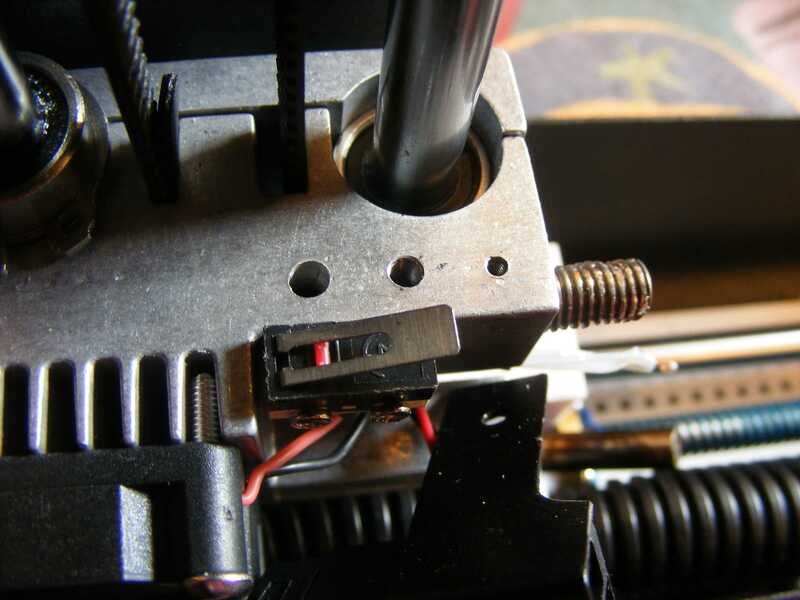 I can say that there is only one screw, I have my secound printhead her on the table.